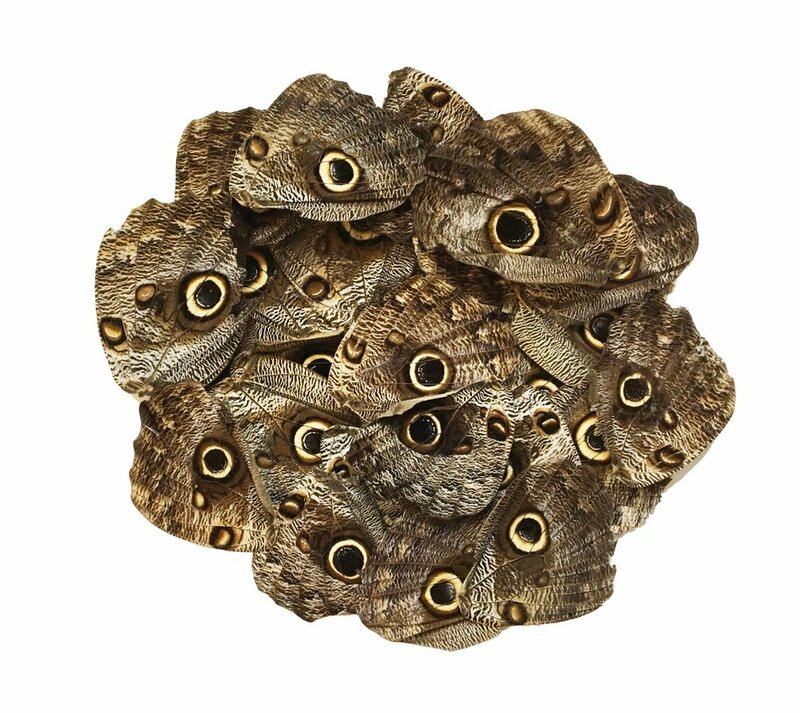 25 Owl Butterfly hind wings (2nd's) to be used however you wish. 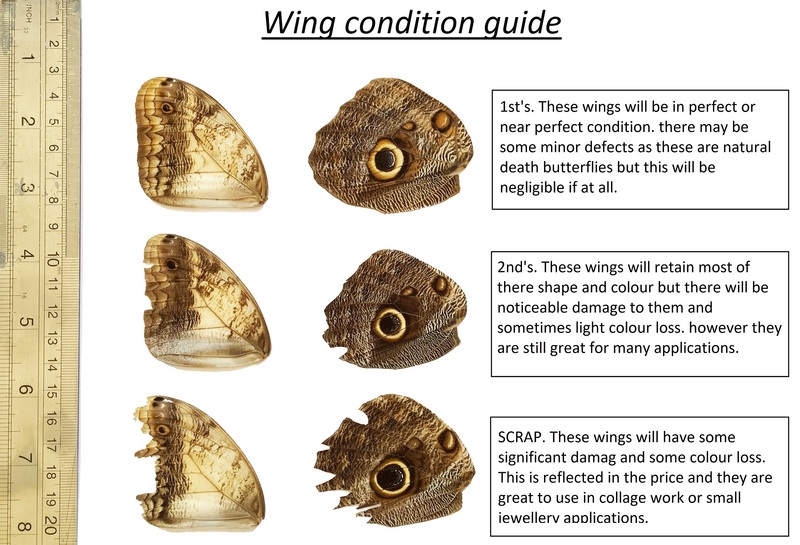 We class these wings as SECONDs and they may have some slight damage to the edges of the wings, but they are still great for many applications and all of the amazing and unique eye spots are intact, making them great for pendants. They are packed up in a little playing card size box.